In this continuing series of our discussion and recommendations of butterflies' English Common Name changes, we look at a further six species grouped under various proposed name changes and analyse them. 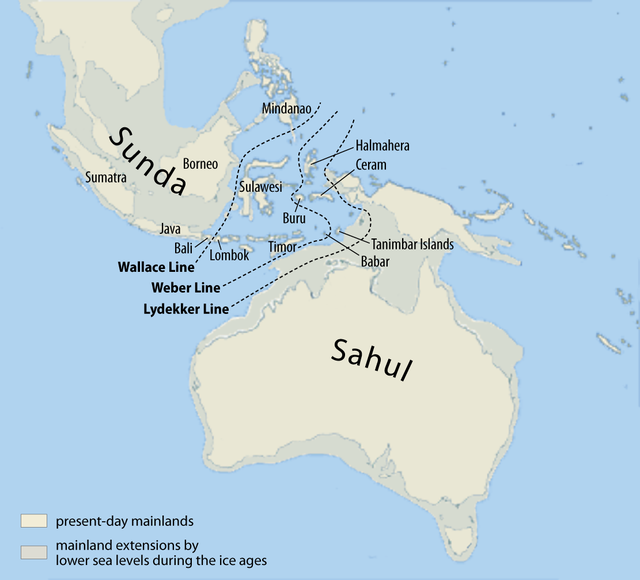 We had, in part 2 of this series, established a baseline for the biogeographical regions which formed the origins of some of these name changes, and also the available literature covering these species. We reiterate that the zoogeographical subregion of the Indo-Malayan ecozone, known as the Sundanian Subregion (or often called Sundaland) is the area of interest where species of butterflies have been assigned common names by various authors. It is largely this Sundaland subregion which we are concerned with, pertaining to the butterfly fauna of this region, and from which we base our literature reviews of books published about the butterflies in these countries. For the benefit of our readers who are viewing this Part 3 of this discussion series, we would like to explain that a number of proposed changes were made by Dr Laurence Kirton in his recent book, A Naturalist's Guide to the Butterflies of Peninsular Malaysia, Singapore and Thailand. We analyse these changes and state our agreements or alternative views, and recommendations for future publications to consider. The first group that we analyse would be the Eurema or Grass Yellow species. Referring to the earliest reference literature, The Identification of Indian Butterflies by Col W.H. Evans 1927, we note that this genus was known then as Terias. 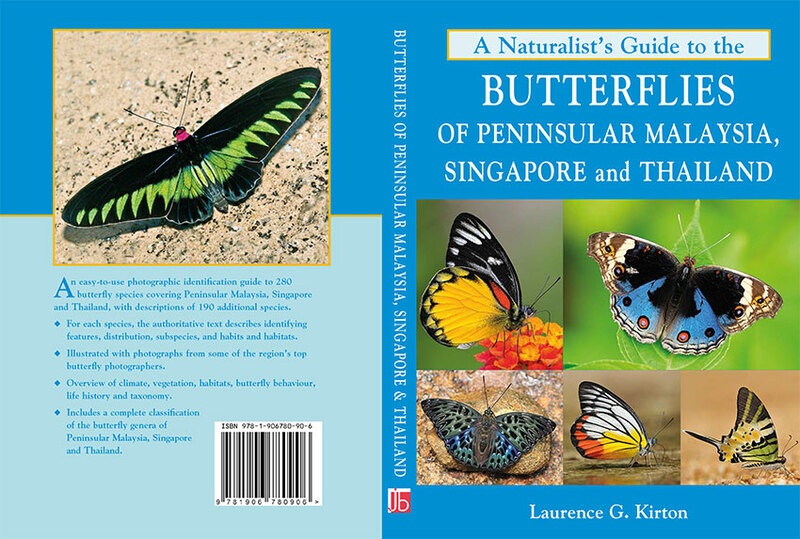 Two species' names were affected by Dr Kirton's proposed changes as far as the Singapore butterfly fauna are concerned. The first, is Eurema andersonii andersonii. The common name quoted in Dr Kirton's book is One Spot Grass Yellow. 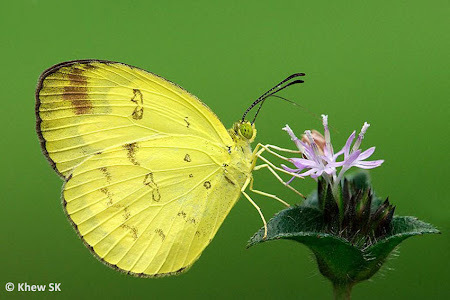 In tracing the historical "etymology" of this English Common Name, we found that in Evans' book, the name One Spot Grass Yellow was originally coined for Eurema (Terias) sari sodalis which was then incorrectly considered a synonym of E. andersonii. However, E. sari sodalis was declared a distinct species and assigned the common name of Chocolate Grass Yellow, leaving the synonymous species of E. andersonii to claim the name One Spot Grass Yellow. However, we feel that, as E. andersonii, is not the only species amongst the Eurema group to have a single cell spot, and should not lay claim to this common name as it could cause confusion. This is because the cell spots form part of the diagnostic features of separating the Eurema group of species. 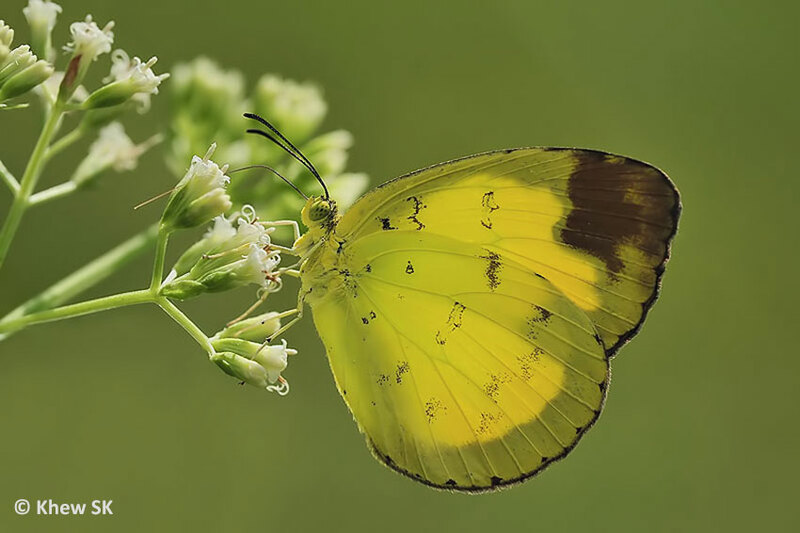 In the Butterflies of Singapore (2010), we used the common name Anderson's Grass Yellow, taking our cue from the scientific name Eurema andersonii andersonii. Precedents of using a common name that originates from the scientific name are not new and we do not need to elaborate on this. Checking with other literature of butterflies in the region, we find that the Butterflies of Thailand 2nd Edition by Pisuth Ek-Amnuay also makes reference to this species as Anderson's Grass Yellow. The 1st edition of the book, published in 2006, also calls it by this name. Recommendation : Eurema andersonii andersonii should retain its name Anderson's Grass Yellow. The second Eurema species of interest is E. simulatrix tecmessa. 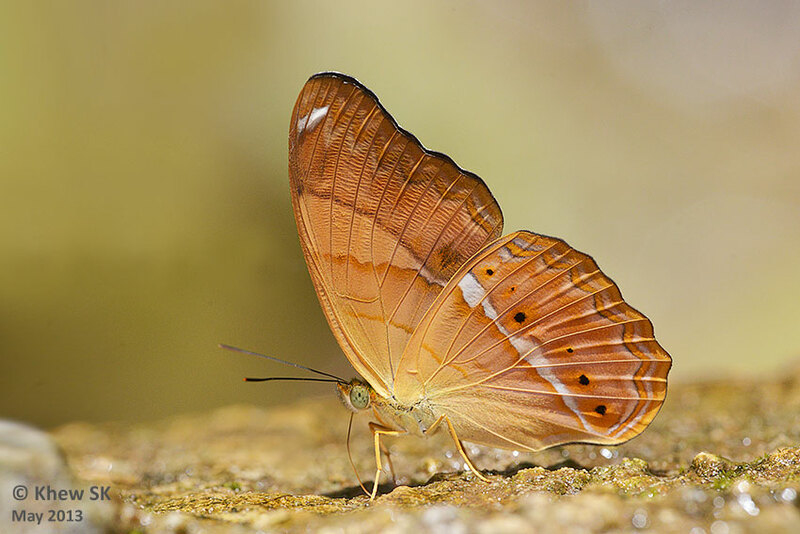 In the Butterflies of Singapore, we did not coin an English Common Name for this species, leaving the scientific name as it was. 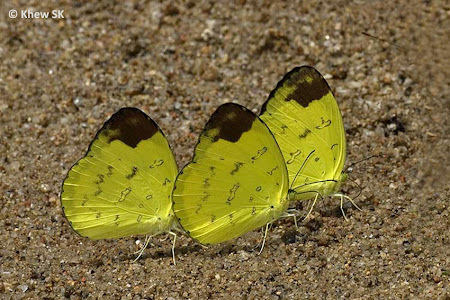 Dr Kirton makes reference to it as the Changeable Grass Yellow, whilst Butterflies of Thailand calls it the Hill Grass Yellow. 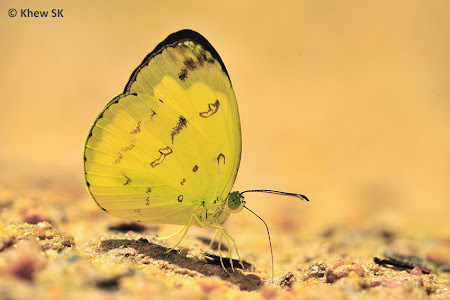 An article in Wikipedia coined the name deNiceville's Grass Yellow for E. simulatrix tecmessa, although at species level, this same article refers to E. simulatrix as Changeable Grass Yellow. ButterflyCircle had earlier coined the name Forest Grass Yellow for this species, due to its preference to remain in the forested nature reserves and rarely, if ever, seen outside the sanctuary of the forests. Whilst there would be no right or wrong in some of these common names, which certainly vary over geographical areas and depending on the propensity for active groups to invent new names for the local butterflies, we cannot imagine why this species is so "changeable" as to deserve the name Changeable Grass Yellow. The closest critter that we know locally is the Changeable Lizard (Calotes versicolor) and we certainly know why it deserves that name! 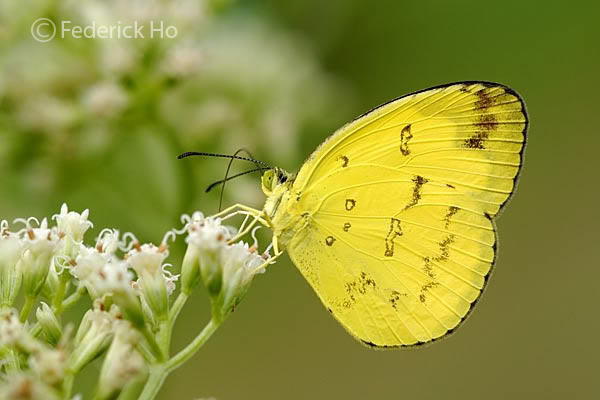 Recommendation : Eurema simulatrix tecmessa should be known as Forest Grass Yellow. We next move to the Nymphalidae family. 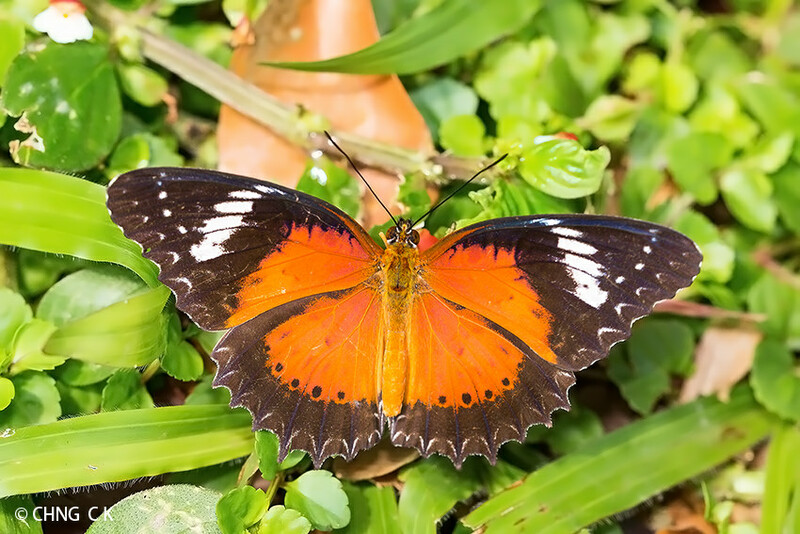 The first two names of contention are those belonging to the Lacewings or genus Cethosia. 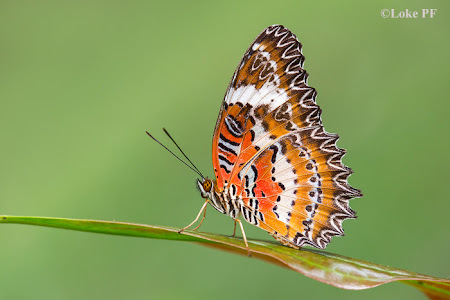 The first species of note is the Malay Lacewing (Cethosia hypsea hypsina). At Dr Kirton's sharing session at the launch of his book, one of the motivations for a name change that relates to this species probably came from "where the original name refers to a people group". In trying to understand the rationale behind this, we can only surmise that Dr Kirton referred to the racial connotations that the common names imply. For example, he proposed that the Malay Lacewing should be renamed Malayan Lacewing. Whilst there are certainly precedents that are coined for butterfly names to make reference to nationality/country, we do not see how the reference that is based on racial origins would offend any particular race. For example, "Chinese" and "Indian", found in butterfly names, can both refer to the race as well as the people of a country. 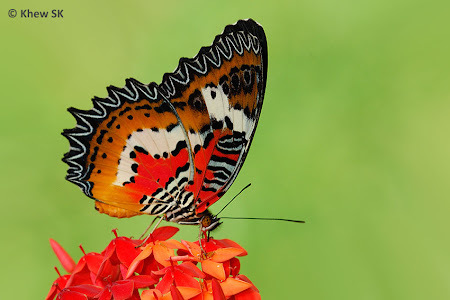 To deprive the Malays of the honour of their race being in the name of a beautiful butterfly may even raise a protest that it is discriminatory, since the Chinese and Indians have that privilege! It would appear consistent in Dr Kirton's approach to rename everything that contains the word Malay to Malayan. 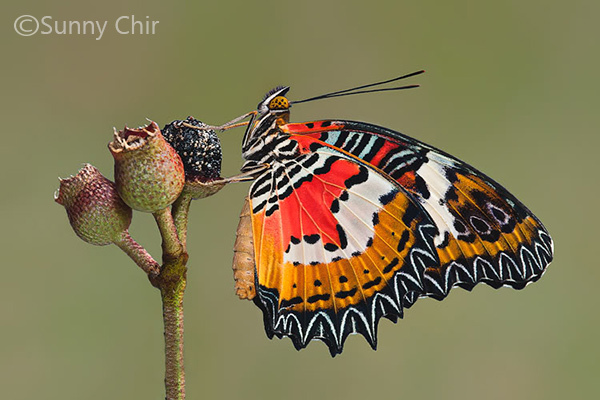 In this context, we can find many books and references that continue to use the word Malay in butterfly names e.g. Malay Lacewing, Malay Viscount, Malay Baron and so on. Other than Dr Kirton's latest book, most the known literature that we have found makes reference to the common names with Malay in them. 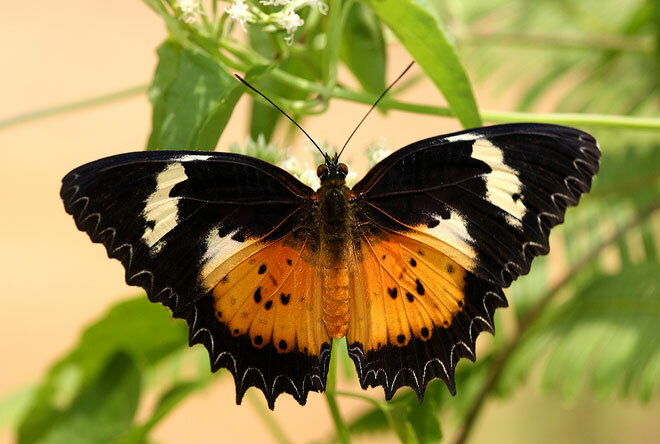 Recommendation : Cethosia hypsea hypsina should retain its name Malay Lacewing. 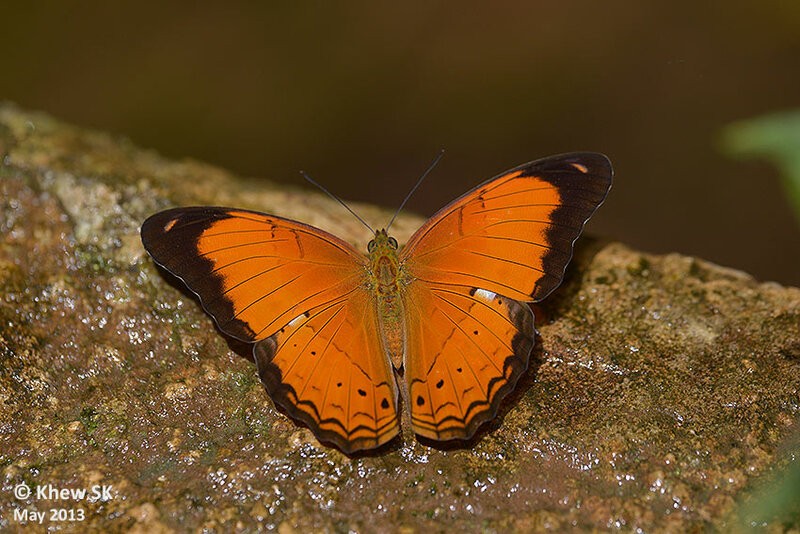 The next species in the Lacewing group is Cethosia methypsea methypsea. Dr Kirton uses the new name Northern Orange Lacewing for this species. In our literature research, Pisuth uses Orange Lacewing in his Butterflies of Thailand book. This species, which was previously called C. penthesilea methypsea, was not known during Evans' time, hence there was no reference to it. In recent years, it has been reclassified as C. methypsea methypsea. The next species of interest falls into the same category that we discussed regarding the change from the race Malay to the country Malayan (which should rightfully be Malaysian, if we are to be up to date!). 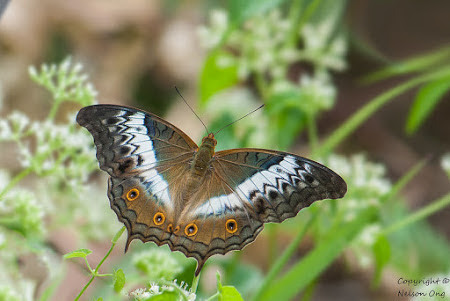 Hence it would be consistent to recommend that the common name for the species Cirrochroa emalea emalea to retain its common name that is found in many reference books as "Malay Yeoman". This name has been used as far back as 1927 in Evans' book as well. 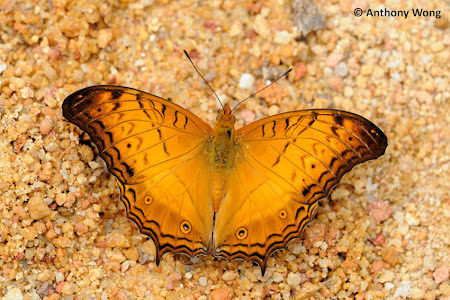 The Cruiser's English common name has usually be used to refer to the species Vindula dejone erotella in Corbet & Pendlebury's Butterflies of the Malay Peninsula (1992) although in the first edition of the book, it was used for the species Vindula erota erotella before research showed that there were actually two distinct species now known as V. dejone erotella and V. erota chersonesia (in Malaysia) and V. erota erota (the continental subspecies in Thailand). Dr Kirton proposed Lesser Cruiser for V. dejone. In Pisuth's book, he refers to this species as the Malayan Cruiser, and uses Common Cruiser for the species V. erota erota. Tracing back to the historical names and taking reference from the two earliest documentation for this species, it is clear that both Evans (1927) and C&P1 (1934) intended the name Cruiser for V. erota. This leaves us to contemplate which name to use for C. dejone. At this point in time, we would be inclined to agree with Dr Kirton, and adopt the common name Lesser Cruiser for the species V. dejone erotella. [C&P1] The Butterflies of The Malay Peninsula, A.S. Corbet and H.M. Pendlebury, 1st Edition, Kyle & Palmer, 1934.